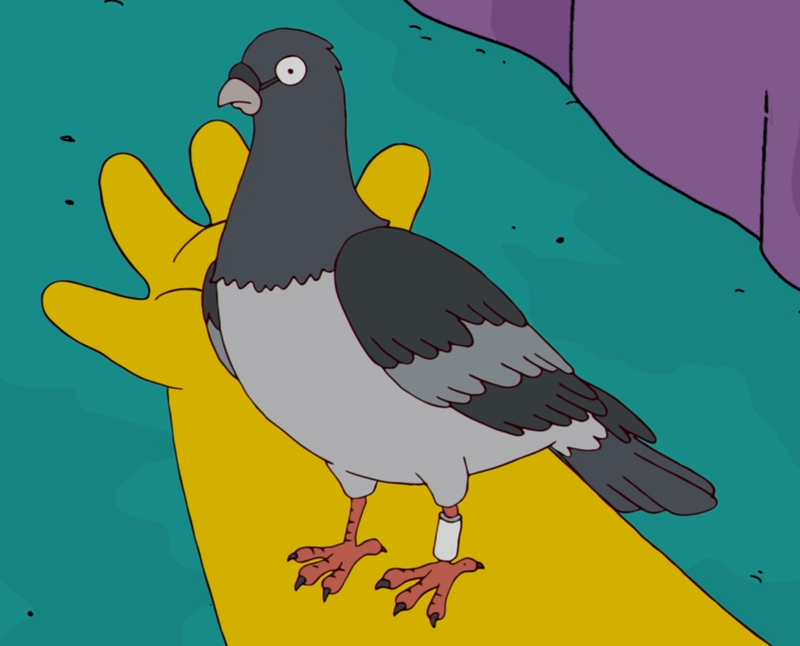 Raymond Bird was a pigeon owned by Bart Simpson for a while. His previous owner was Raphael. 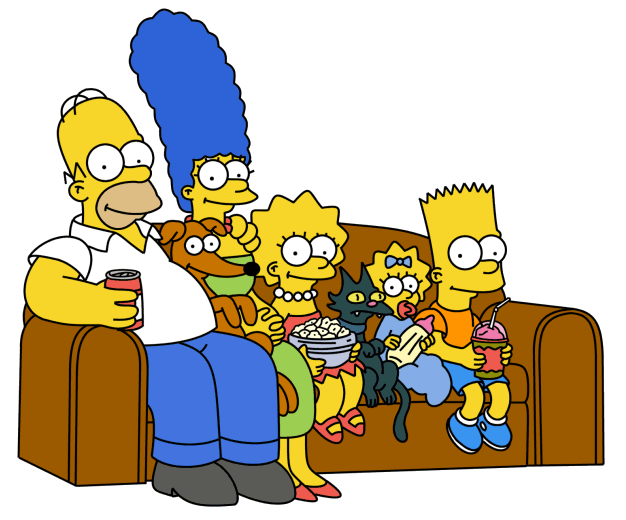 The Simpsons met Ray when he flew through a window at the Simpson house and hurt himself (breaking a wing). Lisa saw that the bird had a band on his leg with a telephone number and the name "Raymond Bird." She called the number on the band and got Raphael on the phone. Lisa told him that one of his pigeons had flown into the house, but Raphael said he wasn't coming to pick him up, as his other 200 pigeons would want to come with him and ride in the front seat of his car. Raphael remained unmoved even when Lisa told him of the bird's broken wing. The bird stayed with the family, and Bart ended up caring for him. After Ray's wing healed, Bart tried to release him back into the wild but he didn't want to leave. Bart then adopted him and took him back home. Bart then had plenty of fun with Ray, using his homing ability to send text-message style notes to Milhouse and bring the replies back. Homer tried and failed to build a coop for Ray, and they got another one. As they were getting Ray settled into his new coop, Moe suggested entering him in a bird race called the Annual Springfield to Shelbyville Birditarod. Bart liked the idea and took Ray out of the coop to get him warmed up for the race. Just as Ray started to take off, Santa's Little Helper leaped on him and ate him. After Ray's death, Bart became very depressed, and the family nearly got rid of Santa's Little Helper. The name Raymond Bird is a possible reference to the actor Raymond Burr. Modified on March 1, 2018, at 10:36.